Expansion is happening. Really happening. And the Big Ten office wants to know what you, the fan, thinks about it. 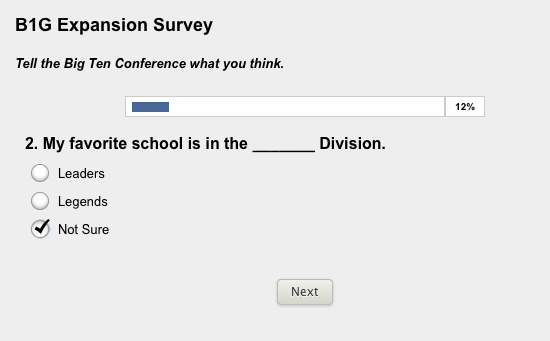 I don't know how much your answers to this survey will be taken into consideration, but I think it's a good sign that the league would like to know what the fans think about things like division names, rivalries, and how much you care about them. That kinda says is all, I think. Make you clicks heard here.